The u-turn forced on the Conservatives during their GE2017 campaign, together with a lack of understanding as to the causes of the social care funding crisis, have contributed to the Dilnot cap now being presented as a solution. The CHPI research team explain why this is not the case. They write that social care requires a significant injection of public funds to move from being a residual public service to one which enhances the lives of older people. Until then, the crisis will continue to worsen. The debate about social care funding during the 2017 General election was one of the many oddities of the campaign. Not only did the furore about the “dementia tax” u-turn potentially undermine the Prime Minister’s offering to older voters and her overall credibility, it also revealed a media almost entirely ignorant of the harsh reality which local authorities, older people and their families now face as a result of current national social care policy. In addition, none of the 3 main parties even came close to recognising this in their manifestos or to providing anything approaching a solution. The excessive media focus on the possibility that older people may have to sell their own homes in order to receive care at home missed the central point that social care is in crisis because of a lack of public funds. Leaving aside the £6.5 billion a year spent by the taxpayer on social care for younger people (i.e those under 65) the percentage spend on social care for older people is less than 0.6% of GDP – that is, it is currently less than the amount spent on the overseas aid budget (0.7%) and on defence (2%). On top of this, since the spending review in 2010 the local authority social care budgets have been reduced by around 9% due to central government cuts. As many families and carers up and down the country know, getting access to publicly-funded social care is extremely difficult – at a time when the population is getting older and the needs of the older population are becoming more complex an estimated 400,000 fewer older people received social care services over the last 5 years. In addition, in order to make money go further, local authorities have limited the amount that they pay to the mainly for-profit care sector, which has resulted, over time in a decline in quality and care companies going bankrupt. 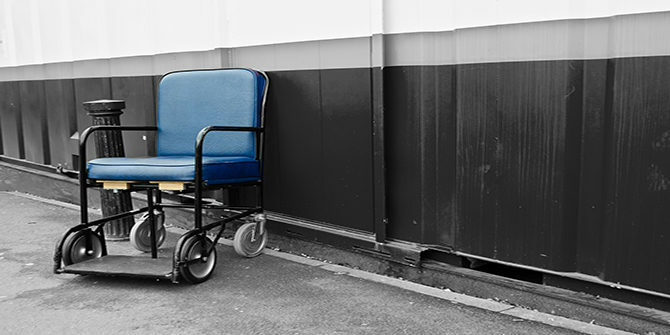 Around 25% of care homes are currently deemed inadequate, whilst care staff often get paid below the minimum wage, and are expected to deliver highly intimate home care services to older people in 15 minute time slots. Publicly funded social care has now become a residual service. Local authorities have nowhere near the amount of money to deliver a service which enhances the health, wellbeing and independence of older people, and also prevents them from entering unnecessarily into the acute hospital sector. In fact, the last government legislated for national rationing criteria which restricted social care only to those deemed to have ‘substantial’ care needs. As a result, anyone whose care needs fall outside that definition is left to rely on their families or fend for themselves – irrespective of their ability to pay. Yet, even though local authorities have reduced social care provision to such a residual level, they don’t even have enough funds to provide this – it is estimated that local authorities will need around an additional £2.5bn a year by 2020 just to provide care for those most in need. It is this rationing of social care on the basis of need rather than ability to pay which many media commentators and analysts overlooked during the election. Despite the furore over “death taxes”, it is highly likely that the extension of the means test to include housing wealth – as is currently the case for residential care – would have a limited impact on the numbers of people who would have to pay for their own care. What is clear from all of this is that the Dilnot cap which all 3 main parties now appear to support is not the answer to the social care funding crisis as it promises no extra funds to raise the coverage of publicly funded care. Indeed, the idea of capping the liability of individuals and families so that they are not subject to so-called “catastrophic” care costs in old age was based on the policy assumption that there would be no substantial increases in public expenditure to expand the provision of social care for older people. Instead, the solution to additional funding was thought to lie in the private insurance market – insurance companies would be incentivised to offer affordable insurance cover to older people as they would know that their liabilities would be capped to no more than £72k for each older person (or policy holder) who needed a substantial amount of care. Once an individual (or their insurance company) had paid £72k for their care, the taxpayer would then pick up the rest of the bill. In addition, Dilnot also proposed that the amount of an individual’s wealth which could be taken into account when determining whether they were eligible for state care should be capped at £100k – thus protecting the inheritance of those whose parents had built up significant amounts of housing wealth but had been unfortunate enough to have needed care in old age. The Dilnot cap – which the last coalition government put on the statute books, but never introduced – is, however, hugely costly, highly inequitable, and would do little to address the current difficulties faced by older people in accessing publicly funded social care. The Department of Health impact assessment of the policy in 2013 found that it would benefit 100,000 mainly wealthy older people; it would amount to a taxpayer transfer from the state to this group of around £2 billion a year; it would cost around £200m to administer; and would require the additional assessment of 500,000 people (on the basis that means and needs tests for all potentially eligible older people would have to be undertaken). This huge expense – which is more than all major parties committed in their manifestos to giving to the NHS – would not expand publicly funded coverage to include those who had moderate needs as the policy assumes that access to publicly-funded care would be restricted to those with substantial needs. Nor would it lead to an increase in the amount that local authorities could pay social care providers – it would, in effect, lock in the current level of quality into the system. Nor would it prevent the looming collapse of the care home industry and now also some home care providers. In fact, the only benefit which the impact assessment could claim to deliver was “peace of mind” for mainly richer older people. It was the previous Conservative government who realised that this policy had too many costs and too few benefits and so refused to introduce the legislation introducing the cap. It was also because the cost benefit analysis weighed so firmly against implementation that the policy was excluded from their manifesto – the Prime Minister and the Health Secretary indeed made this case during the election. But, because of the lack of media understanding and the u-turn forced on the Conservatives during the campaign, the Dilnot Cap with all of its problems is now back on the agenda and being presented as the solution to the crisis in social care. However, until all 3 major parties recognise that social care requires a significant injection of public funds to move from being a residual public service to one which enhances the lives of older people – and which pays care workers a decent wage – the crisis will continue to worsen.